Welcome to Baden-Baden’s municipal recreational forest and to the North/Central Black Forest area of outstanding beauty (“Naturpark Schwarzwald Mitte/Nord”). From the Bütthof trailhead there are paths taking you into the Grobbachtal valley and the peaceful forests between Scherrhof mountain restaurant and Badener Höhe mountain, with some routes entering the Black Forest National Park. For starters there’s the gorge-like Grobbachtal valley with its fast-flowing streams, cliffs and rocks. 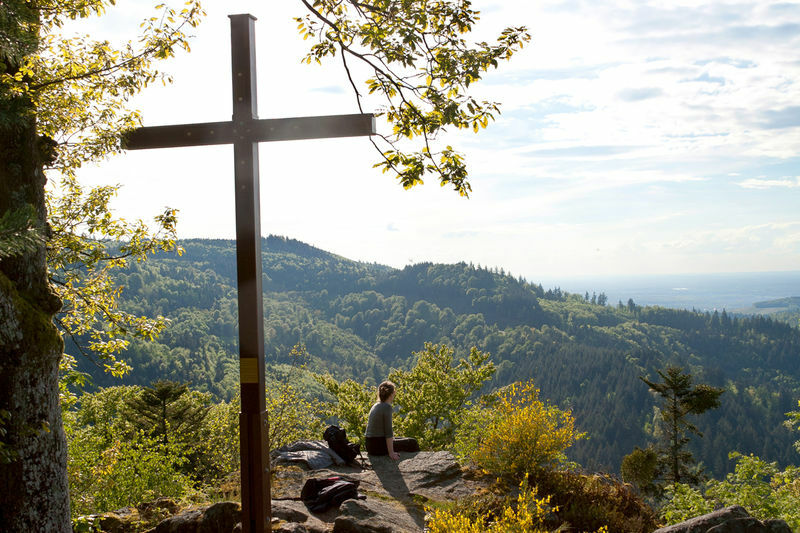 The "Kreuzfelsen-Rundweg", a circular route through this picture-book Black Forest landscape, is without doubt one of the nicest walks in Baden-Baden’s municipal forest. The route starts off along the Grobbach and Littersbach streams, then climbs to the Kreuzfelsen rock outcrop. The path descends through ancient beech forest to Grobbach again, following the course of the stream through grazing meadows. This wild landscape owes its existence to the local Bühlertal granite, a very hard rock able to withstand the forces of erosion. 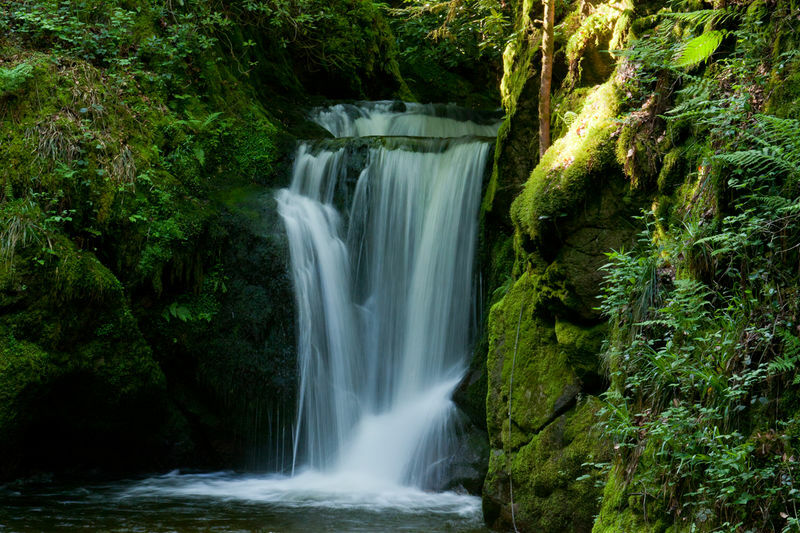 But while enjoying this dramatic landscape, don’t forget to keep your eyes open for what’s happening left and right of the paths: the colourful meadow flowers growing, the ferns which thrive in the damp climate of the gorge. Another thing to look out for are dippers, a type of bird which frequents clear mountain streams and which are often spotted here. Bütthof is also the gateway to one of the most remote sections of Baden-Baden’s municipal forest. A path takes you through species-rich forests to an altitude of over 1000m at the summit of Badener Höhe. On this route from the valley of the Grobbach to one of the highest points in the northern Black Forest you witness the gradual change in tree types as you ascend. 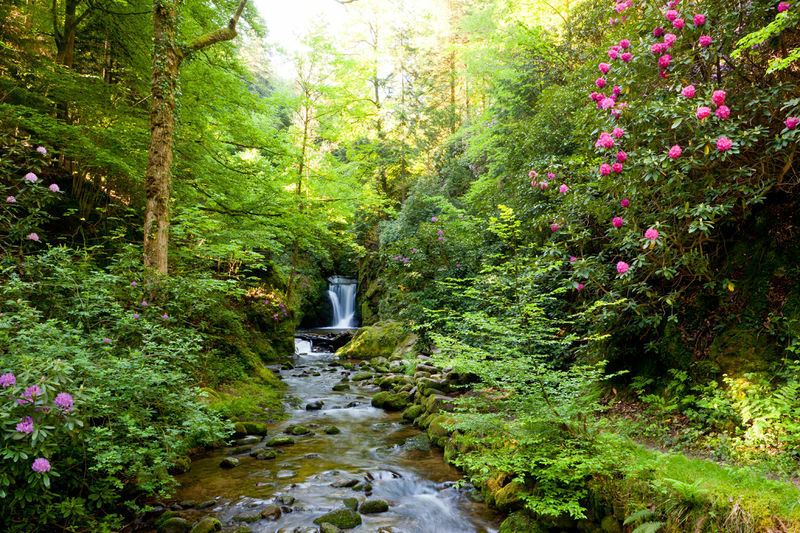 Initially deciduous forests, home to a wide variety of flora and fauna, dominate. On the summit plateau of Badener Höhe these have given way to hardy species able to survive in the harsh environment – spruce, fir, beech, mountain ash and pine. To the Geroldsau waterfall on the Wasserfall Rundweg circular route: 3 km, total ascent 70 m. An easy walk on level paths, with a few stony sections. There is a restaurant at Bütthof. Kreuzfelsen-Rundweg, circular route: 11 km, total ascent 330 m: first via the Geroldsau waterfall to Littersbach (stream), then ascend to Kreuzfelsen (rock outcrop), via Neubrücke (bridge) to Bütthof (restaurant) and back to car park. There is a restaurant at Bütthof. To Badener Höhe mountain, returning via Scherrhof (restaurant) and Kreuzfelsen: 18 km, total ascent 750 m: car park – Neubrücke (bridge) – Lokus - Mittelfeldhütte (shelter)– Herrenwieser Sattel – Badener Höhe (summit with viewing tower) – Badener Sattel – Immensteinhütte (shelter) – Scherrhof (restaurant) – Kreuzfelsen (rock outcrop) – Bütthof car park. There is a restaurant at Bütthof.